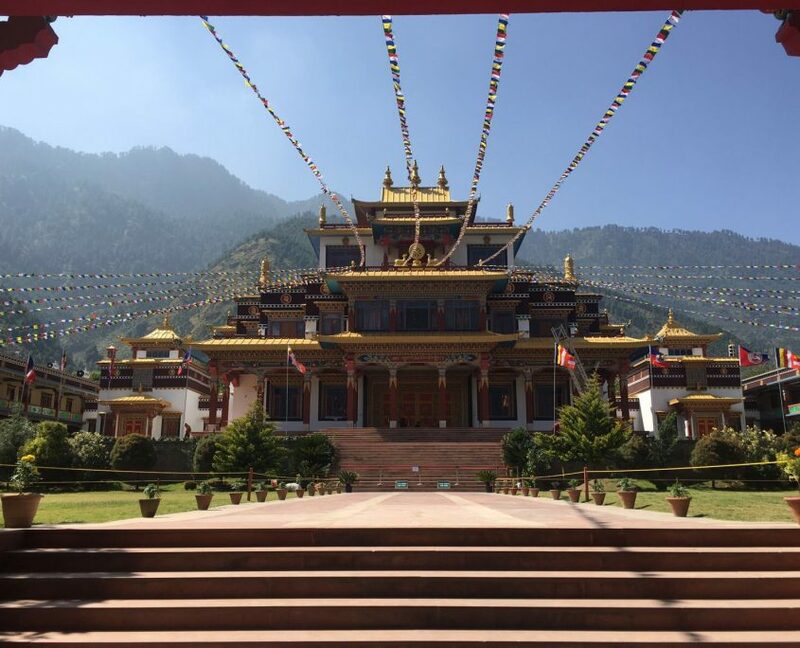 Karma Deleg Chö Phel Ling is a study and meditation centre in the Tibetan Buddhist tradition. The centre is situated just outside the small village of Hantum in the very North of the Netherlands. A little Tibet arises in the Friesian landscape among the meadows, windmills and waters. A serene atmosphere of waving prayer flags, singing birds and rustling leaves. The Buddhist centre has the intention to support and develop compassion, wellbeing and the happiness of all sentient beings. There are daily recitations in the temple and regularly teachings and workshops are organised. The centre also offers the facilities and care for individual retreat. In October 2017, a delegation of the centre attended the inauguration of Drukpa Dechen Chokhor Ling in Manali, India. This is the monastery of HE Choegon Rinpoche from the Drukpa Kagyu lineage. It was a great happening with many venerable lama’s such as HE Khamtrul Rinpoche, many yogis from Tashi Jong and thousands of devotees from all directions. The event ended with an elaborate initiation of Guru Rinpoche and a Tsok offering. We have, once again, invited HE Choegon Rinpoche to come and teach in our centre. We hope to receive him in 2018. The centre has a close relationship to Choegon Rinpoche due to his spiritual friendship with the late Chödje Lama Gawang Rinpoche and his many visits to The Netherlands and our centre in the past.